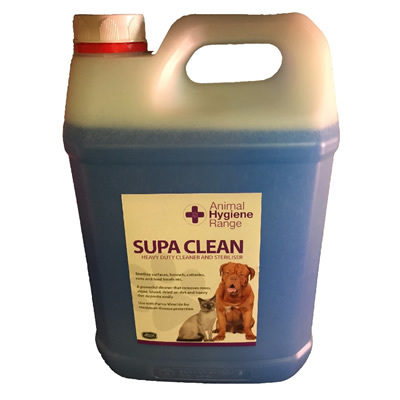 A heavy-duty detergent/steriliser for washing down and cleaning all surfaces, including utensils, feeding/drinking bowls etc. SupaClean should be diluted at 1:100 up to 1:400, making it an extremely economical detergent. A light spraying with SupaClean will make removal of heavy dirt deposits easy, with much less scrubbing and brushing.